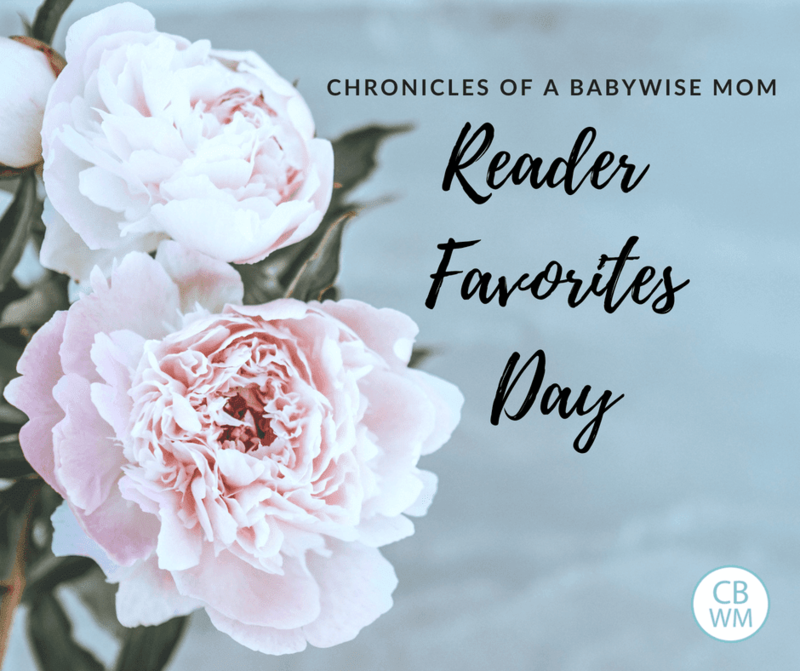 Babywise Mom Reader Favorites Day. Favorite baby products, favorite baby toys, favorite toys for kids, and favorite books. When I am looking for recommendations, I love to look for advice from like-minded moms. One of my favorite things is knowing what other people have as favorite things. Below are the reader favorites posts for you to visit today. Follow the link and comment on the post with your favorites in that category. I will add your comments to the body of the post. Is there a category you would love to see? Go ahead and leave a comment letting me know what category you would like to see included.